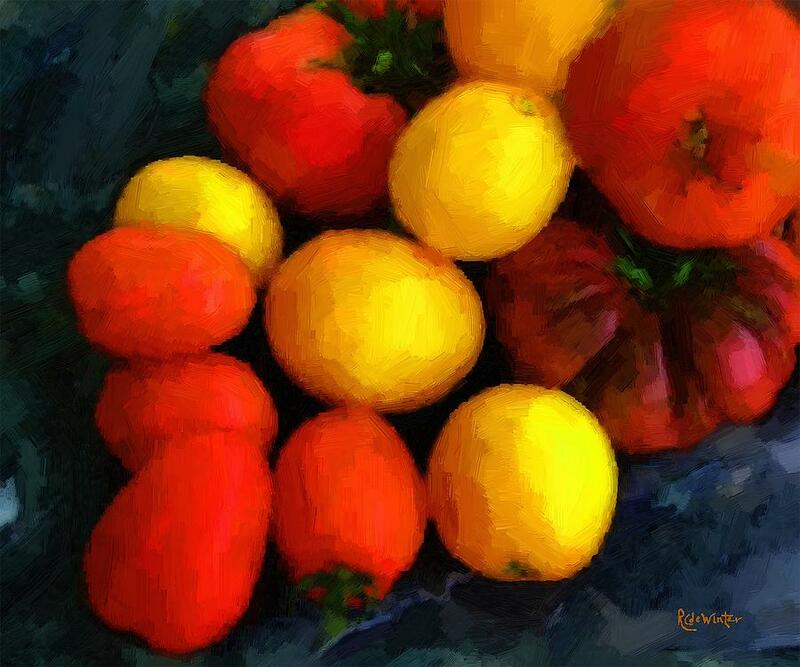 Tomatoes Matisse is a painting by RC DeWinter which was uploaded on October 7th, 2010. 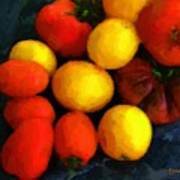 Don't knock your own work, Karen, you do lovely pieces! Thank you so much for the lovely comment. 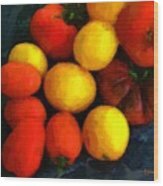 Found this gem while browsing through my 'competition' in the V is for Vegetables contest. There is no competition! Your work is a thousand times better than mine and I am pleased to say I voted for this warm and inviting artwork. Really nice, featured and voted!